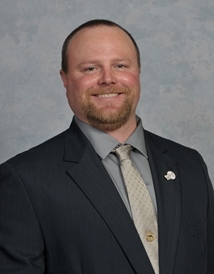 IAM District 19 Employee Assistance Program Director Josh Hartford is joining two other Maine IAM members in running for a seat in the Maine State Legislature. Hartford is employed by Pan Am Railways and serves as the Local Chairman of IAM Local 409 in Belgrade, ME. Hartford accompanies IAM Maine Lobstering Union (IMLU) members and cousins, Rocky and Robert Alley. Robert looks to retain his seat in the Maine House of Representatives while Rocky is running for State Senate. After watching his opponent, Rep. Joel Stetkis (R-Canaan), cosponsor right-to-work (for less) legislation, Hartford knew he had to step up. The Maine AFL-CIO gave Stetkis, a first-term incumbent, a zero percent rating on labor issues. Hartford says his campaign is about helping working class families escape the constant squeeze of an out-of-balance economy. In contrast to his opponent, Hartford believes working families deserve a living wage, affordable healthcare and a future with retirement in sight. Hartford is running as a “clean election candidate,” which means he will be using public funds for his campaign. Hartford is currently unopposed in the June 14 Maine House District 105 Democratic Primary. The general election will be held on November 8.